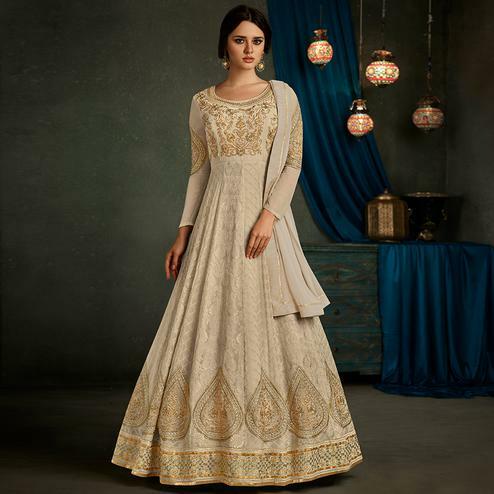 Be the centre of attraction at an upcoming function wearing this elegant piece. The stunning embroidered, zari & lace border work a substantial element of this attire. Ideally suited for festival, party & weddings. The outfit comes with a matching santoon bottom & chiffon dupatta.